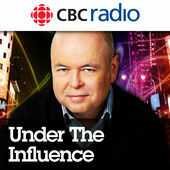 With more than a million weekly listeners, author and broadcast producer Terry O’Reilly’s marketing podcast Under the Influence is Canada’s most popular marketing podcast. O’Reilly calls upon his decades of experience as a sought-after copywriter telling stories about his experience working with brands like Tim Hortons, Volkswagen, Nissan and celebrities like Alec Baldwin and Ellen DeGeneres. His 30-minute show presents stories about how brands persuade the public, win pitches or fail spectacularly in attempting both. Why you should listen: Get inspired by stories that will help you inspire others. 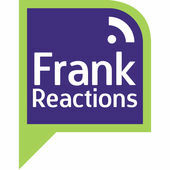 Author and business strategy consultant Tema Frank’s weekly podcast Frank Reactions is focused on helping brands improve the customer experience. The podcast covers communications, marketing, process engineering and even user experience with the goal of highlighting how design decisions impact the end user. With more than 400 weekly listeners, Frank connects her audience to experts from agencies and brands openly discussing their work and its challenges. With a growing audience and decades of knowledge, Frank’s podcast speaks openly about what works with customers and what doesn’t. Why you should listen: For a fresh look at the processes that drive business decisions and learn the paths to purchase can help marketers and PR pros alike make a concrete business impact. 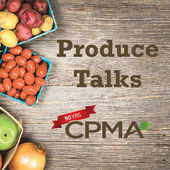 The Canadian Produce Marketing Association broadcasts a weekly podcast focusing on how producers market fruits and vegetables. This niched podcast highlights many of the challenges the agriculture industry faces growing their consumer base and distributing product. Agriculture is an enormous industry employing one out of every eight Canadians making the country the fifth largest agricultural exporter in the world. Produce Talks introduces you to some of the industry’s top players and highlights what’s new or challenging when it comes to bringing healthy food to Canadian dinner tables. Why you should listen: It is astounding to hear such niched conversations about products and marketing especially in an industry where product can literally rot on the vine. With more than 420 episodes recorded and nearly 800,000 downloads since its inception in 2006, Inside PR’s hosts Gini Dietrich, C.E.O. of Chicago’s Arment Dietrich; Joseph Thornley, Principal Partner at Thornley Fallis Group in Ottawa; and Martin Waxman, President of Martin Waxman Communications in Toronto, use the podcast to push PR agencies and representatives to go digital, embrace paid media and create great content. Their executive level leadership allows them to discuss everything from crisis management strategy to benefits and compensation fluidly. Why you should listen: Stay up-to-date with industry news you are too busy to have read otherwise and learn about new tools that will make your work easier. They have a book club too! Have you found another Canadian marketing or communications podcast we should be listening to? Let us know on Twitter @Cision_Canada.